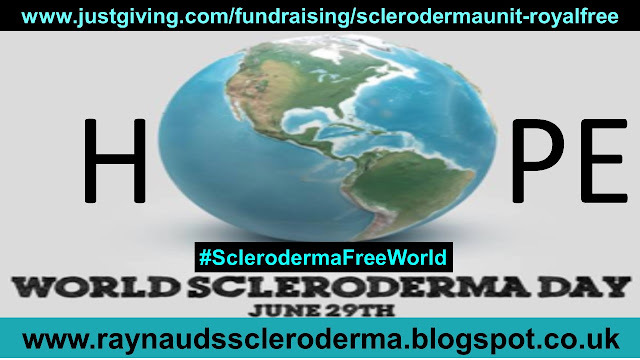 1st June, saw the start of Scleroderma Awareness Month, with the 29th, being World Scleroderma Day. 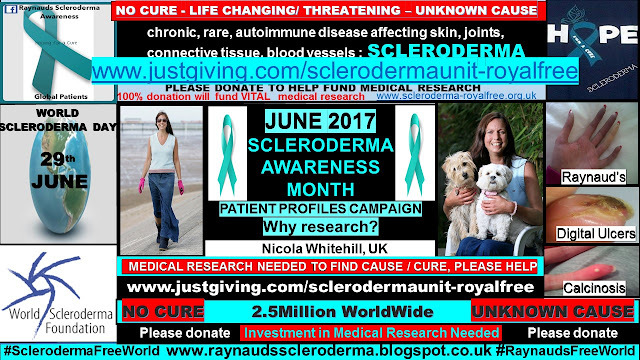 Further to this year’s Rare Disease Day 2017 theme being ‘Research – With Research Possibilities are Limitless’, I have made ‘Research’ the theme of my Scleroderma Awareness Month 2017 Campaign, along with patient profiles. In this article, I intend on discussing the importance of research, combined with a global collaborative approach. 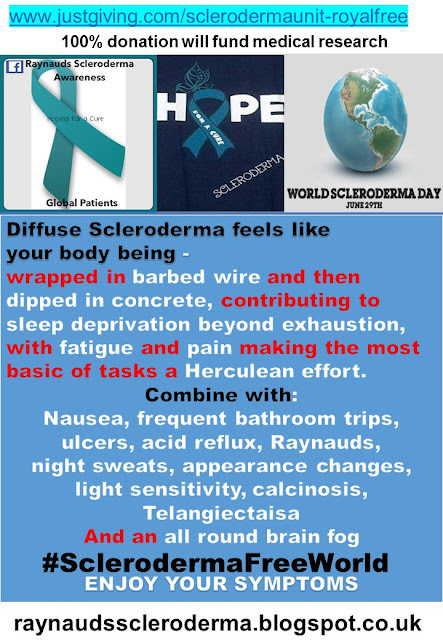 As well as, how raising scleroderma awareness during June, can maximise the potential of the cause and cure of this rare disease being discovered, in our lifetime. This autumn, 2017, marks my 20th anniversary of living with the disease. 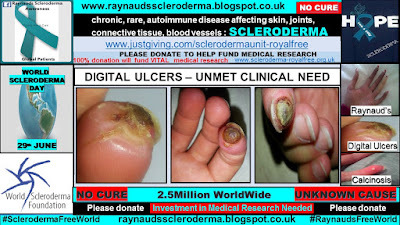 Upon my initial diagnosis, in 1997, aged 24, I was given a prognosis of 15 months. At that time, I was working as a medical representative for Bristol Myers Squibb, as well as, studying on a part time distance learning basis to achieve my dream to become a barrister. 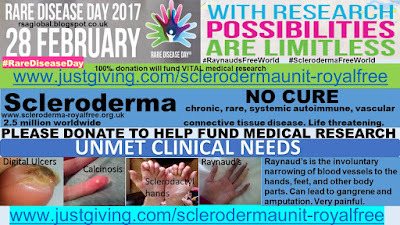 I consider myself to be an extremely ‘lucky’ scleroderma Raynaud’s patient, in that, I have minimal internal organ damage. 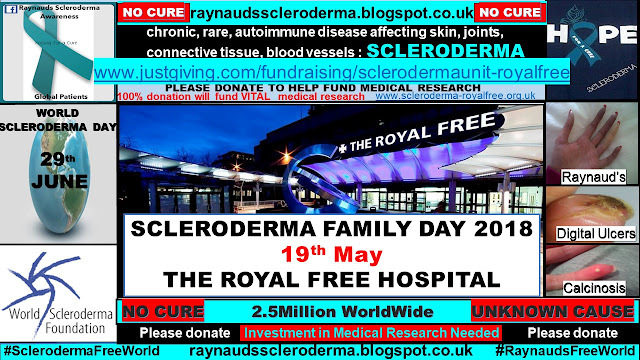 I contribute this to the excellent care which I received from having attended the Scleroderma Unit at the Royal Free Hospital, London, December 1998, and, I continue to attend. Within 30 seconds of my appointment with Dame Professor Carol Black, I knew that she would use all of her medical expertise to help me get better and help me realise my dream. Several years of intense chemotherapy infusions combined with the immuno-suppressant, mycophenolate, eventually stabalised what was a very aggressive diffuse form of the disease. I was also on the stem cell transplant waiting list. 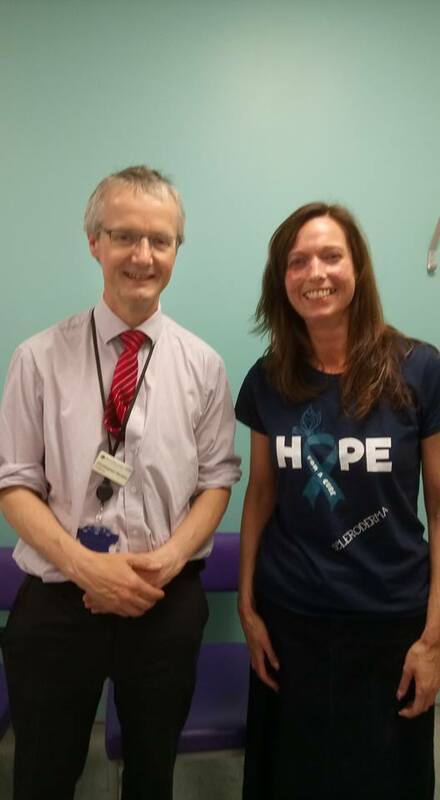 By now, my hero, Professor Chris Denton had become my lead Doctor, and to whom I am eternally grateful to, and will forever remain so. 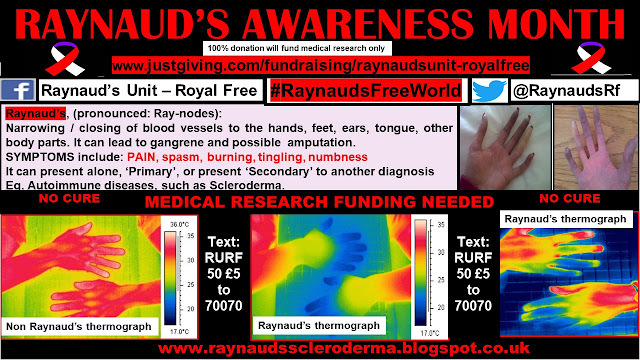 His dedication and commitment to his patients and the scleroderma Raynaud’s global community is superhuman. Prof Denton helped me realise my dream. 1st March 2004 I qualified as a self employed practising barrister in my own right. 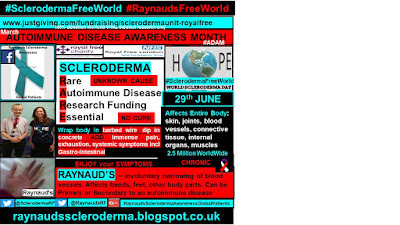 Sadly, if you have followed my blog, you will know that my ‘tin man’ body due to the damage from scleroderma, combined with my extreme Raynaud’s sensitivity, makes being ‘under house arrest’, my optimum symptom management location, and the internet my lifeline. 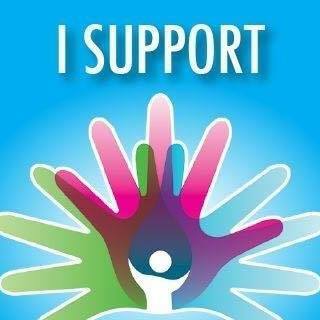 I therefore feel ‘lucky’ that I had, in effect, an early diagnosis whereby treatments still remained an option to me. 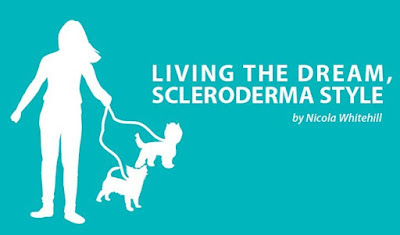 Even though managing my symptoms, combined with the damage to my body caused by the scleroderma, makes for a full time job. 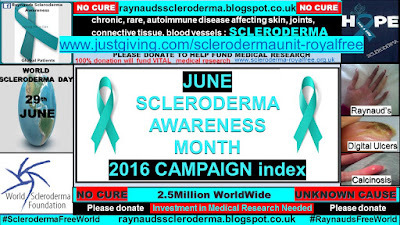 Any spare energy or time which I have, is dedicated to the scleroderma Raynaud’s cause. 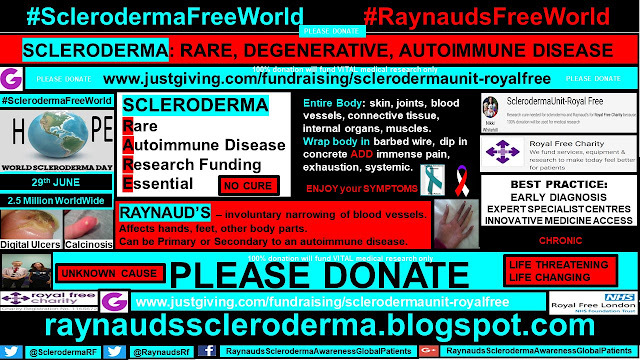 I have a new dream now – a Scleroderma Free World, and a Raynaud’s Free World. I very much hope that this dream becomes a reality in my lifetime. 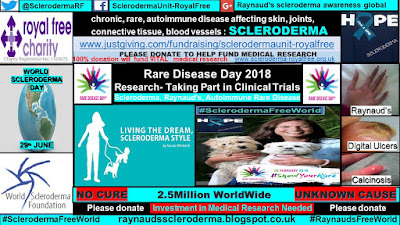 I believe that it will, upon investment and global collaboration in research, not just for scleroderma but for the autoimmune diseases as a whole. 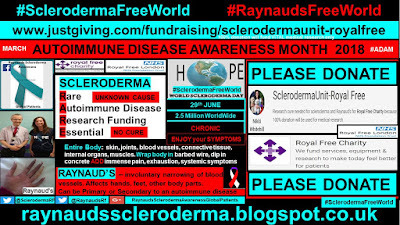 Further to my personal experience, and my new dream, I am passionate that a scleroderma Raynaud’s diagnosis is not subject to a postcode / ZIP / Country lottery, as to best practice and care for the patient. Along with, expert specialist centres being essential, and medical research being a priority. 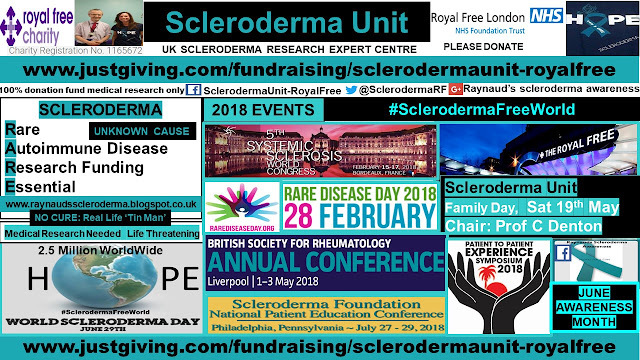 The Scleroderma Unit at the Royal Free Hospital is the UK national scleroderma clinical trials centre. 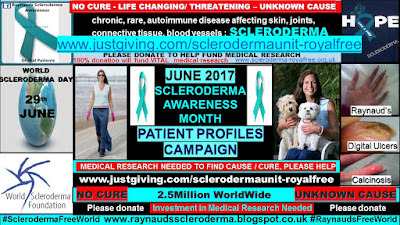 Due to scleroderma being a rare disease, and therefore having low patient numbers, clinical trial recruitment is a challenge. It is difficult to obtain clinically sound, scientific statistically significant data, with only a small population eligible to take part. 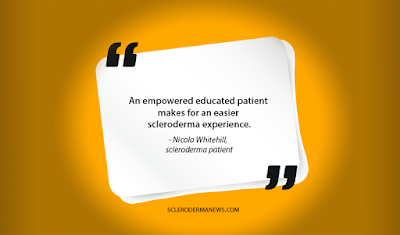 This is why global collaboration is crucial for the sharing of best practice for the scleroderma Raynaud’s patient. During the lead up to June, I contacted several patients from around the globe, asking for them to complete a short questionnaire. 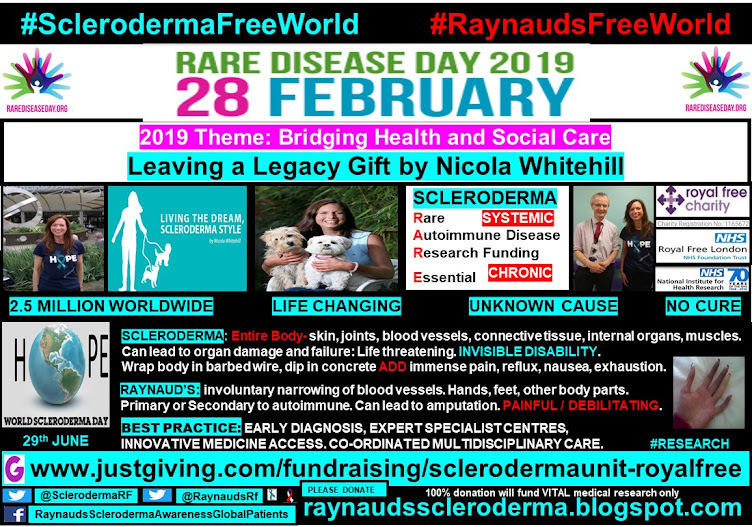 I designed the questionnaire to highlight the global diagnostic approach, as well as, treatment for the global scleroderma Raynaud’s patient, and how their experience could be improved. 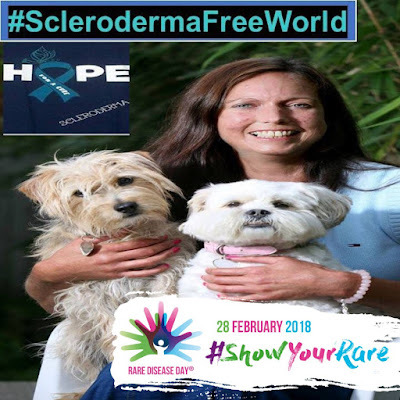 I am truly humbled to all those who took part and thank each and every patient who shared their reality, to help put the spotlight on this life changing, if not life threatening, rare disease. 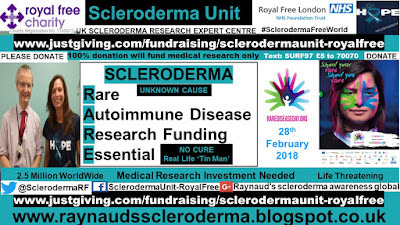 Please donate to my Just Giving page for the Scleroderma Unit at the Royal Free Hospital where 100% of your donation will be used for medical research only. Thank You.